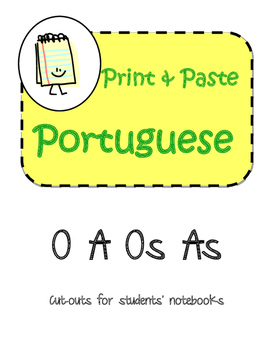 This important O A Os As chart organizes "the" 4 ways in Portuguese. Additional space is provided for teacher/student examples. 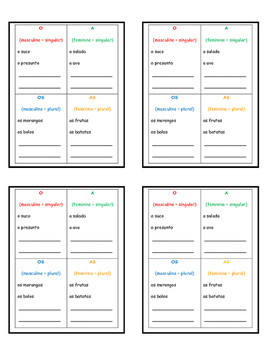 It serves as an excellent addition to students' notes. 4 small charts per printed page.